Avocados are high in nutrients and packed with good fat. Its a best weight gaining food for kids & also helps to physical and brain development. Hence its often called as natures perfect food. In India its known as ‘Butter Fruit ‘. 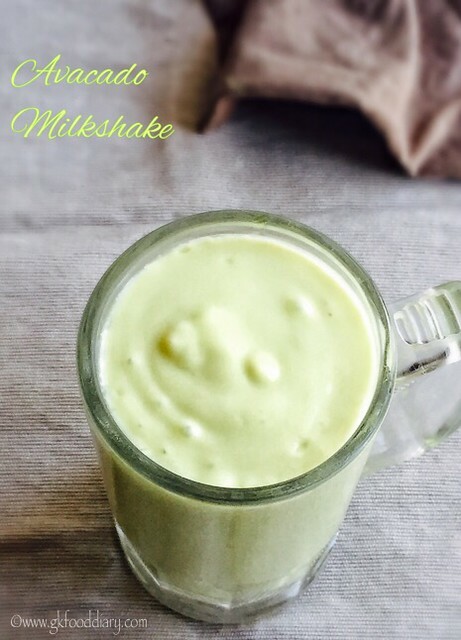 This creamy avocado milkshake is one of the best way to kids eat avocados. Some kids don’t like the taste of avocado as it has a mild flavor. Combining it with bananas or mangoes enhances it taste. Avocados are one of the best first food for baby because of its texture and creaminess. Hence it can be given from 6 months. 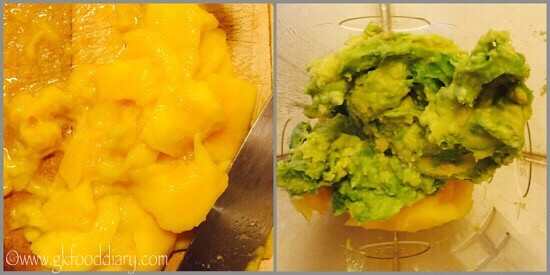 When you introduce, u can offer ripe mashed avocados or as a puree. 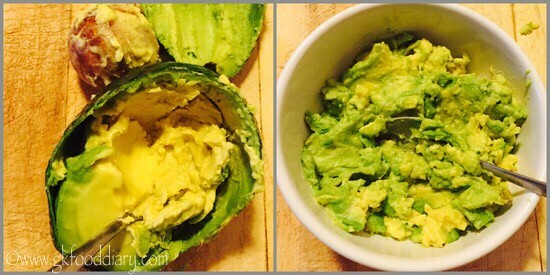 No need to cook avocados. You could simply mix it with apples, bananas or pear if the baby doesn’t like the plain flavor of avocados. 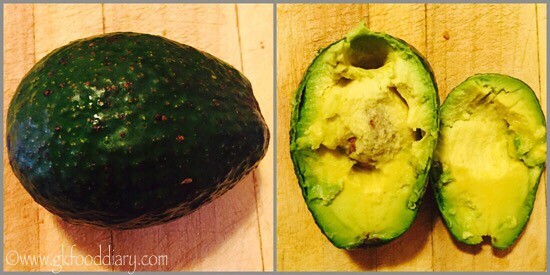 Look for a avocado fruit with dark green color . Always choose ripe avocados for baby food , a ripe avocado should yield out when pressed gently. 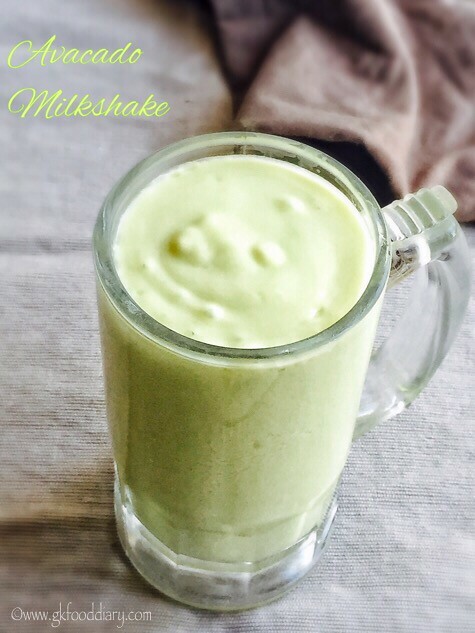 Here is how to make avocado milkshake for toddlers and kids. Grind it to a smooth paste. Then add milk and honey/sugar to it. Blend everything till smooth. 4. Grind it to a smooth paste. Then add milk and honey/sugar to it. 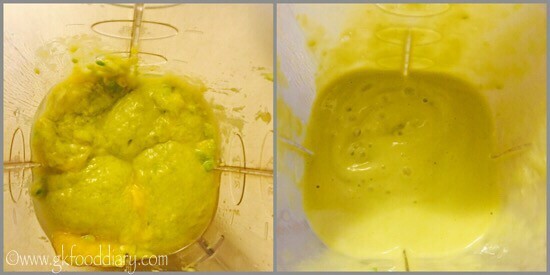 Blend everything till smooth. 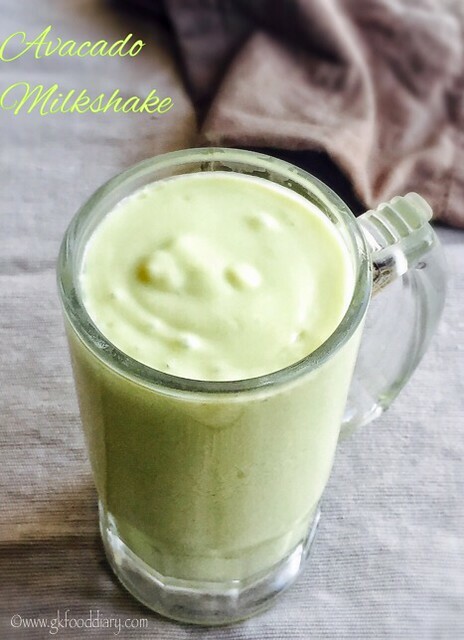 The creamy avocado milkshake is ready. Serve chilled !!! You can add either bananas or mangoes to this milkshake. You can make it plain too. 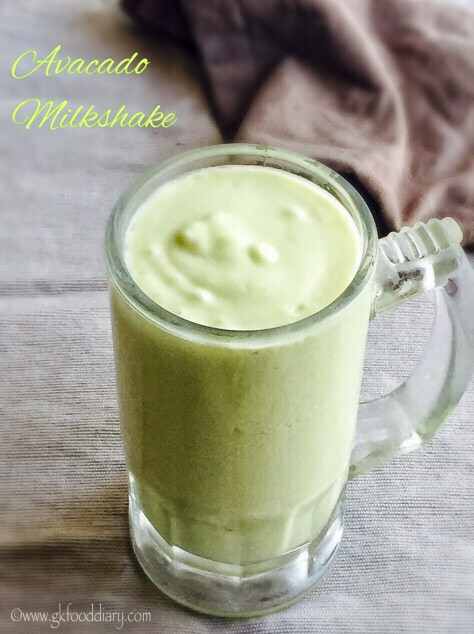 Make sure to introduce avocados and cows milk separate before you try this avocado milkshake. Very delicious food. Now a days people order food online as technology made people idle.